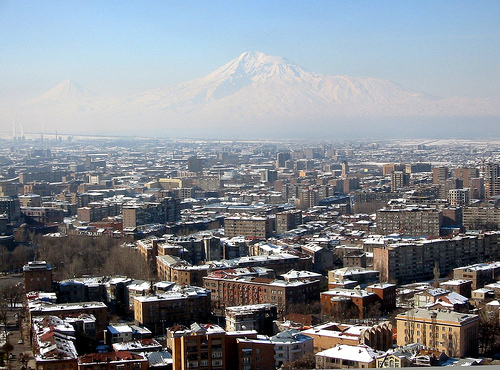 Yerevan is the capital and largest city in Armenia, with a current population of 1.1 million. It is also one of the oldest cities in the world that has been continuously inhabited, having been founded in the 8th century BC. Today, it is the most important administrative, industrial and cultural center of Armenia. Most of the city is new because it expanded greatly during the 2oth century. There has also been a good deal of construction taking place the last decade, with many modern and cosmopolitan-feeling structures, shops, boutiques and roads. As a cultural city, Yerevan is full of many different museums, theaters, cinemas, art galleries and libraries. It also has a small metro system for public transit that is likely to expand. Yerevan is situated geographically in eastern Armenia, in the north-eastern part of Ararat Valley. The upper areas in the city are located by mountains, and then the city descends into the banks of the Hrazdan river. 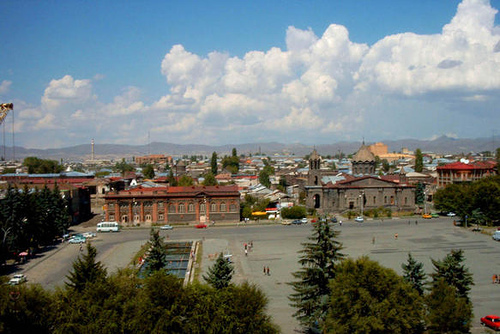 Gyumri is the second largest city of Armenia, with over 168,000 inhabitants. It is the capital of the Shirak Province, which is in northwest Armenia. This city is situated geographically on the Shirak Highland, and is about 5,000 feet above sea level. Gyumri is an old city that was likely founded around 400 BC, and it changed many times throughout history. Unfortunately, many of the historic buildings had been damaged due to the earthquakes in 1988. Some exceptions are the old city center, Kumayri, and a number of house-museums. It is a major educational center for its region. The economy of Gyumri has also suffered due to the earthquake and its results. 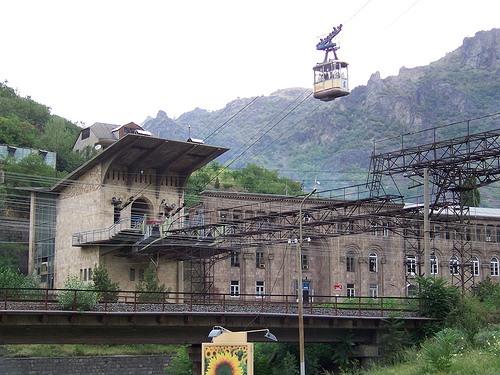 Vanadzor is the capital of the Lori Provice in northern Armenia. It is the third largest city, with about 107,000 people. It is famous for being the most beautiful city in Armenia in terms of architecture, as well as a spot for summer homes, which are called dachas. It is not known when Vanadzor was founded, but it likely dates back to the Bronze Age. It is another elevated city, being about 4,600 feet above sea level, surrounded by the mountains Bazum and Pambak. This city is also an important industrial center with huge chemical plants. It is also a regional educational center with a few important institutions. I am a Liberian,presently residing in Senegal.I will like to visit your country Armenia.Please send me all necessary information on how i can get the visa? I’m really sorry but the Embassy of Foreign Affairs of Armenia rejected the obtaining of Armenian visa to African citizens. That is why you should have a special invitation of private company/institute/diplomatic passport to visit us.